Family and friends marked the sixth anniversary of 15-year-old Yasmin Acree’s disappearance with prayers and a press conference this week – and they said publicly for the first time they believe the girl is dead and think they know who may be responsible. Rev. Ira Acree of Greater St. John Bible Church said he and Yasmin’s adopted mother, Rose Starnes, met last year with a man being held in the Cook County Jail in connection with the rapes of several women. During that conversation he admitted he had information about what had happened to Yasmin, the pastor said. Acree said the family told the Chicago Police Department what they learned, but they fear nothing has come of the information. The minister, a cousin of Yasmin’s, said he left the meeting believing the teen is dead. The inmate said he and an accomplice burned Yasmin’s body after abducting her in 2008, Acree said. The man, whom AustinTalks is not identifying because he has not been arrested in Yasmin’s disappearance, is the same person the Chicago Tribune wrote about in 2011. In that story, the Tribune reported the man told reporters in three jailhouse interviews that he had vital information about Yasmin. Acree and four other local clergy members joined Starnes on Wednesday at her Austin home to pray and bring attention to the case, which has been mired in controversy from the start when police seemed to believe the Austin Polytechnical Academy freshmen had run away. Acree said the family continues to be concerned about how police are handling the case in light of the jailhouse information they turned over to investigators. Police have told the family there’s not enough evidence at this point to arrest the man, the pastor said. Though police officials have not discussed how evidence was handled, the Tribune has reported that a sergeant and two officers were punished after a complaint was filed with the department’s internal affairs division. Hatch said some of the clergy working with Starnes are encouraging her to seek legal counsel to challenge the police. 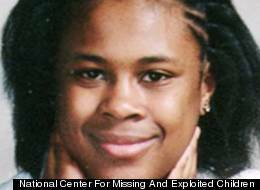 Starnes reported Yasmin missing after being away and returning home Jan. 16, 2008. She had been alerted by another person living in her house that the lock to a gate leading to the basement bedroom where Yasmin lived was broken and the door had been forced open, the Tribune said. Initially, police treated Yasmin’s disappearance as a runaway case, but her family felt otherwise. Yasmin’s family said the honors student was excited about starting her first job. She worked for the YMCA and was being considered for a key role in its new job initiative at the time of her disappearance, they said. Hatch said the community will keep the spotlight on Yasmin’s case. “If we have to challenge the police department directly, we will,” he said. Lt. Steven Sesso of the Chicago Police Department said in an email Thursday that Yasmin’s case remains open. He declined to give more details, including whether the information the family gave investigators after Acree’s jailhouse meeting, has helped investigators. “Chicago Police detectives will continue to follow leads and develop new information until this case is solved,” Sesso wrote in the e-mail. Acree said Starnes has suffered a lot physically over the last six years, and she’s no longer able to canvass the streets in search of Yasmin as she once did. Starnes was present at Wednesday’s prayer meeting but said little, allowing Revs. Acree and Hatch to speak on her behalf. The investigation by ProPublic Illinois and WBEZ/Chicago Public Radio found that Austin and nine other of Chicago’s 77 community areas have duplicate ticket rates that are more than 4.5 times the median for the city. 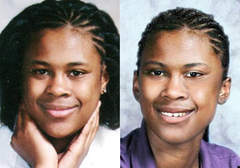 Ten years after she was last seen, friends and family of 15-year-old Yasmin Acree said they still hold out hope they will discover what happened to the honors student who disappeared on Martin Luther King Day in 2008. The Minority Tax Certificate program fostered diversity in media by providing incentives that increased black ownership of radio and TV stations.